MP3 Download | FLAC Download | WAV Download · Download count: 15,811.
this may sound interesting if you’re born on the west. on east, these kind of melodies are associated with very very bad music. after all, there is nothing psychedelic in this music. pyc: most people in the west dislike this vibe as well… for most people its too cheesy and has too much pop influences….this kind of trance has its roots in 90s upliftingtrance music….it’s anthemtrance….this with an oriental vibe is a typical greek evolution of the israeli nitzhonot style. nizthonot is very fast and orientalistic melodicgoa with a hard kickbase….this are the historical roots of this album. it also has strong hint of greekmusic!!?…. if it’s very loud at a festival, music like this can be a lot of fun….. i’m not sure if i dislike it….its very poppy but i love oriental nitzhostyle…i don’t know XD i try. Surely, it’s the worst thing I heard in a couple of year. Someone should stop this guy. This album reminds me of the Transistrance series and I can agree with @salai: without this “anthemtrance” style there’s no nitzhonot today. But I also think the melodies are too simplistic and not quite enjoyable in most of the tracks except track no. 5 – I really like that one. Track no. 6 3rd third is quite impressive too. very bad sound!! The contractor should listen real Goa trance! its a gateway drug for positive thoughts. wanna have nitzo-corner @ ekto! Very cool! Лада Седан Баклажан! this is very cheesy for sure. expect anthemic, big melodies to repeat many times. However, not at all the worst iteration of this that I have listened to. 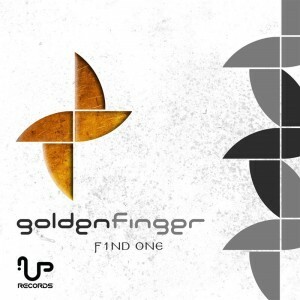 I think Goldenfinger is sincere about his emotion in these songs, and there’s quite a few clever developments and harmonies. I couldn’t handle more than a couple tracks at once, but it definitely does have some detail/depth. I think some of the other comments here are overly harsh. Ok, so this is not the best album on Ektoplazm, but it’s not bad either. I enjoyed listening to it a couple times, and have saved it. I’ll probably listen to it again in the future. I can understand why people don’t think this is Psy, and it doesn’t fit in with typical psy sounds. Likewise, it’s too exotic to be ‘just’ trance. This is well produced music with a vision, and the production pulled through on the concept of the album. Regardless of your taste, this is very creative music. It’s very uplifting and a lot of fun, even if it’s a little ‘cheesy’. Don’t let your critics get you down. This music is fantastic, and I’m sure most of the critics here would jam out hard for this live. 5/5, Great album, but not strictly psy. So what. VICTORY TRANCE FTW. Thank you for your hard work that you passed onto us. You have my love and appreciation. Been with ektoplazm ever since Day 1, and been in the psytrance scene longer then most of these young whelps have been alive. All the people hating on this clearly dont understand the different vibes and genres of psytrance, and the subgenres within the genres. This album is clearly a mix of a variety of things, and it is all good. The west coast and east coast also clearly have their head sup their asses if they think this kind of music is bad. Come down to the midwest. ALL Psytrance is good around here, and its better then alot of the crap that is in the clubs on the coasts. Great Work. Positive Vibes Only. this album is beautiful for me, I am Iranian. good luck. Totally agree. Respect is beautiful. Personally I enjoyed the album.